Home Delicious Desserts The Best ~ Amaretto Peach Tart! 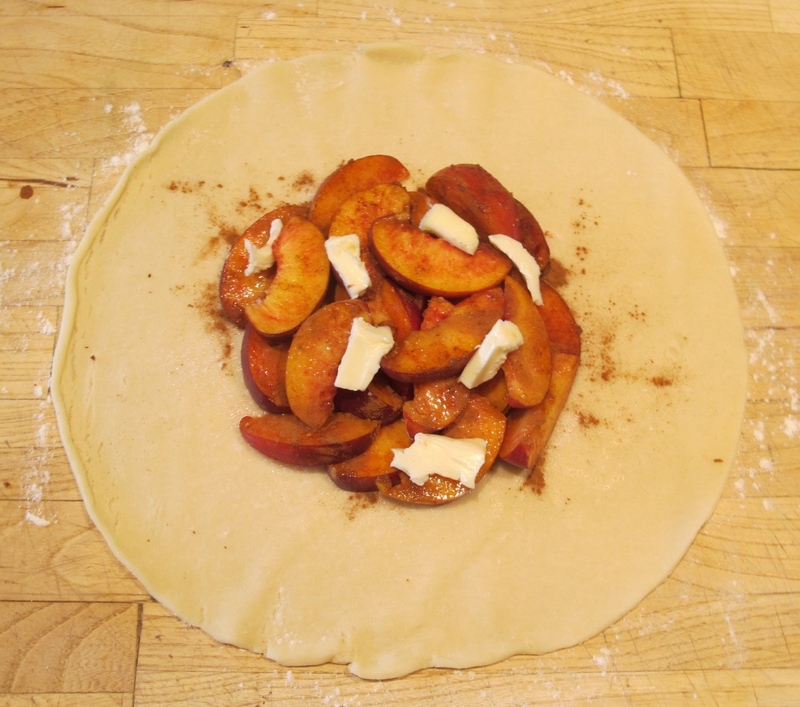 On a floured surface, roll out pie dough and flatten. Arrange the peach slices in the center. Dust ½ of the sugar and all of the cinnamon over the peaches. Cut the tablespoon of butter into four or five equally portioned pieces and distribute them to various parts of the pile of peaches. 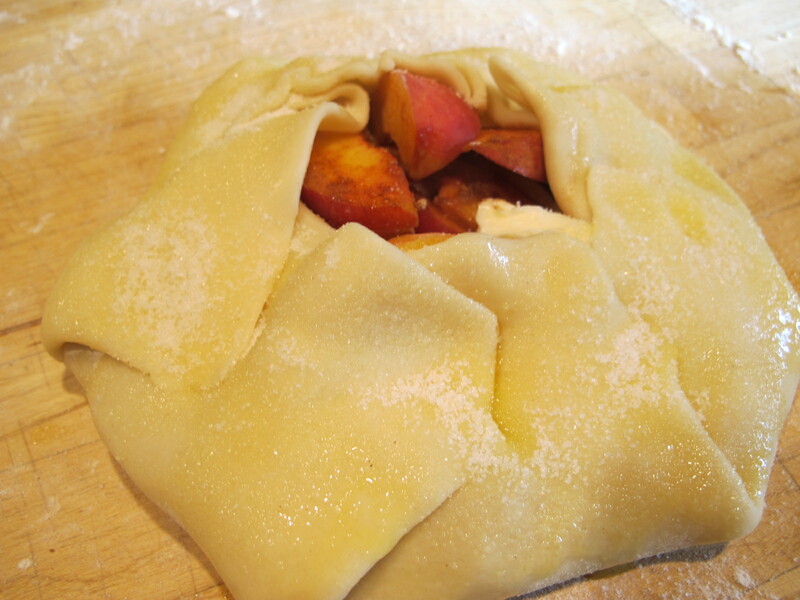 Now, fold up and pinch together the sides of the dough, laying the folds over the peach center. After beating the egg, brush the egg into the crust. Then, dust the outside with sugar. Let the sugar build up in some crevices of the dough- it makes for a crispier crust. 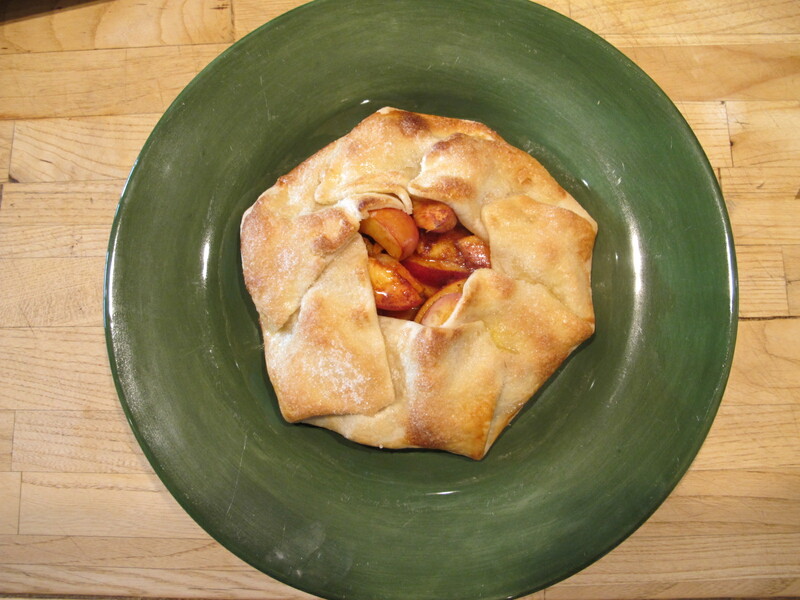 Place pie on parchment paper in a rimmed baking sheet. Bake at 425 in the middle rack for 15-20 minutes. Let cool for 2-5 minutes, then serve. This turned out amazing. I was confused though because you don’t mention the amaretto liqueur in the directions but you do mention butter which isn’t listed in the ingredients. I followed the directions and left out the amaretto liqueur. It is soooo good!! My family raved about it and said I should have made 2! ← Previous Post: The Best Beer Drinking, Cowboy Joke Ever!